Size of 32" W x 37" D x 74" H and a weight capacity of 350 lbs. 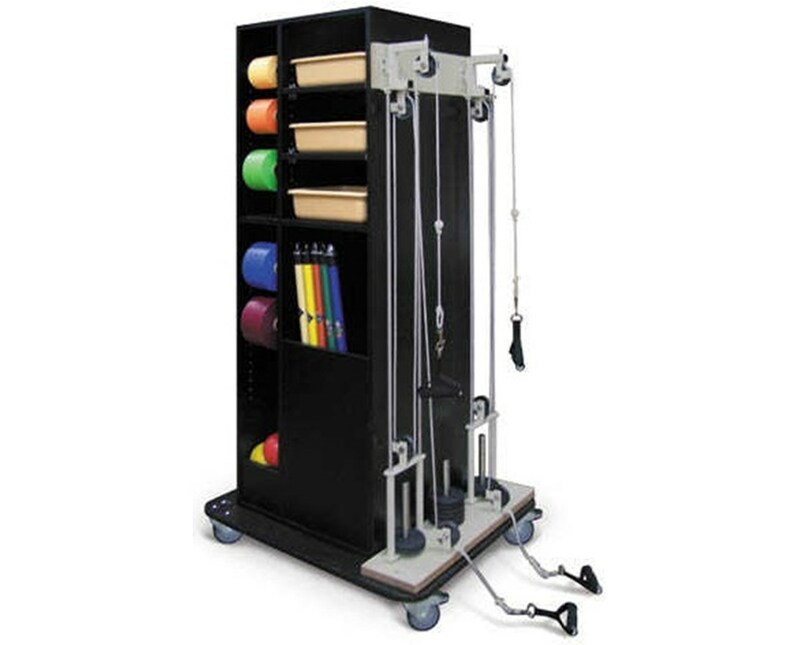 The Hausmann Industries Exercise / Rack Station is a versatile, multi-functional storage device designed to hold various weights and features built-in duplex pulleys. The pegboard has eleven (11) hooks for Hugger® Weights and twenty (20) dumbbell hooks. 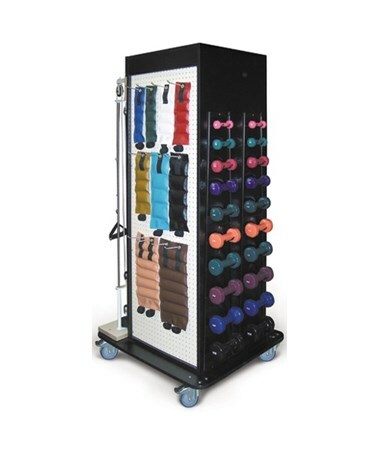 It includes a vertical dispenser for five (5) REP Bands™, a storage bin for six (6) "Soft-Ball" Weights, and a storage area for weight bars & three (3) plastic tubs. 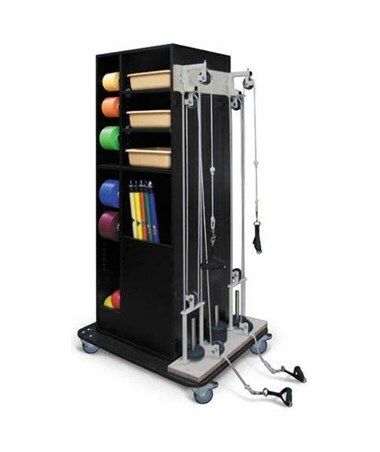 The rack is mounted on four (4) 4" diameter swivel locking casters for hassle-free movement around any physical therapy or rehabilitation facility.